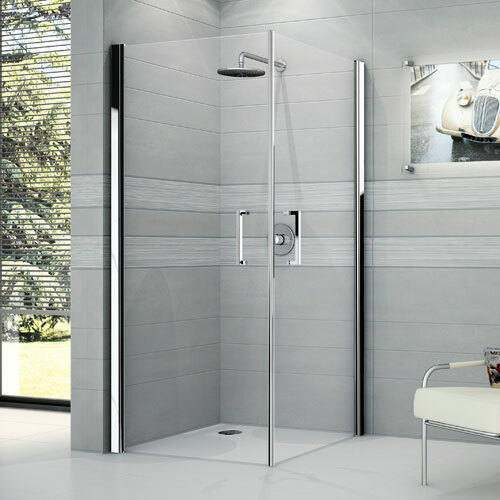 Shower cabins have become an important part of everyday life and are in steady demand due to a number of advantages, such as space saving, a large set of functions, aesthetic appearance, etc. The construction can be very different, depending on its configuration, size, and the set of available modes and materials of manufacture. 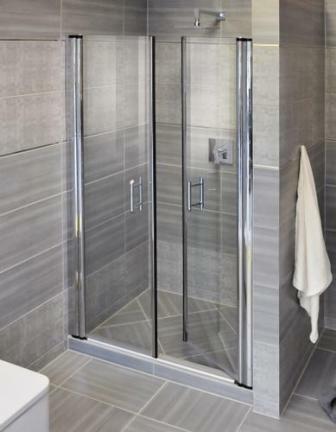 It can also differ in the type of the installed doors - they can be sliding and hinged. The second option is considered in this article. • the installation of decorative panels, that hide the profile. The leaf of swing doors can open only in one direction, or be of a pendulum type when it can open in both directions. Swing doors can consist of one or two leaves, and their width can be different. The version with two doors requires less space for opening, so it is perfect for a small bathroom. When using the swinging door system, there is no necessity to make the cabin wider than the door leaf, due to the fact that there is no need to hide the door in a niche.